The Japanese term “Mottainai!” expresses regret for the waste of material objects, time and all sort of precious resources. It is generally used in response to the receiving of a gift or a special attention, as a polite expression meant to underscore the donor’s generosity. Originally, the word “mottai” qualified the dignity intrinsic to every material object: the sacrality of things. 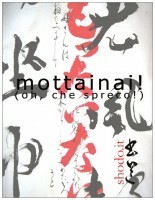 The negative construction “mottainai”, whose literal meaning is “without mottai”, was used by the Buddhist tradition to indicate any waste or abuse against something sacred or worth of great respect. Nowadays, refraining from wasting has come to signify attention to the future of the planet. 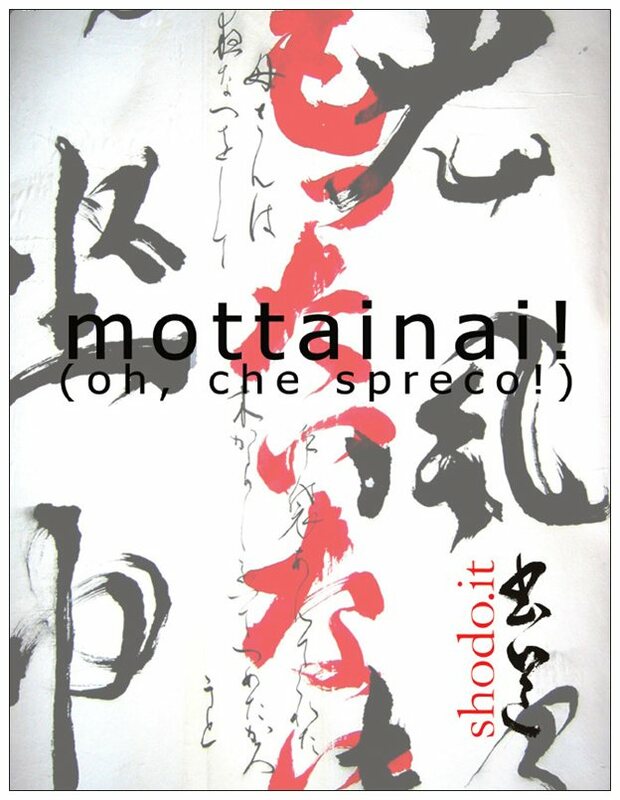 Thus the term “Mottainai!” becomes the symbol of a new trend, that rejects consumerism in the name of a more essential and free lifestyle, and is characterized by recycling, reusing, and a respect for the objects and thus implies deep respect for the environment. The shodo.it exhibition aims to enrich the Salone del Mobile week with a reflection on these themes brought by Chinese and Japanese calligraphy. It will show works produced at the Ruimo Academy of Calligraphy under the direction of the master Bruno Riva, and works by European, Chinese, Korean and Japanese calligraphers friends of the Association shodo.it, such as, among the others, Ruan Zonghua, Ye Xin, Yamada Tomie, and Nakajima Hiroyuki.